“It’s not easy to reach 100 years.” The President of Eusko Ikaskuntza Society of Basque Studies, Iñaki Dorronsoro, acknowledges with clear satisfaction. In his view, this anniversary represents a “great opportunity” to make known all the work done for a century by this scientific-cultural entity founded in 1918 by the provincial governments of Araba, Bizkaia, Gipuzkoa and Navarre. 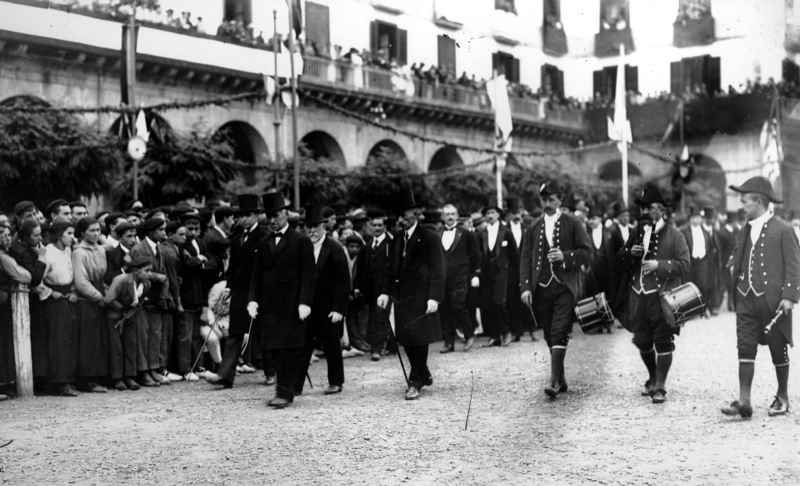 Eusko Ikaskuntza was founded 100 years ago in the Guipuzcoan town of Oñati, where the first constituent Congress took place. And on November 24th its centenary will be commemorated at an official and social event that will also take place in Oñati, where a day earlier, on the 23rd, the conclusions of the “strategic reflection” will be presented at the 18th Eusko Ikaskuntza Congress. The 18th Congress: ‘The future that (re)unites us’ is the big event of the centenary and consists of several meetings: Baiona (opening); Vitoria (future of the Basque language); Pamplona (culture and identity); Bilbao (socio-economic and business model); Donostia (legal and political structuring); and Oñati, where the final conclusions of the previous reflections will be extracted. In the latter, Dorronsoro indicates, “We will make a statement, as done a hundred years ago. And we must remember that in the Declaration of the Congress of 1918, one of the proposals was the creation of Euskaltzaindia (The Royal Academy of the Basque Language), no light matter. And this year we will attempt to have a similar approach,” hints the President of the Society of Basque Studies. Euskaltzaindia, which will turn 100 in 2019, is perhaps the great point of reference of Eusko Ikaskuntza, its best-known accomplishment. 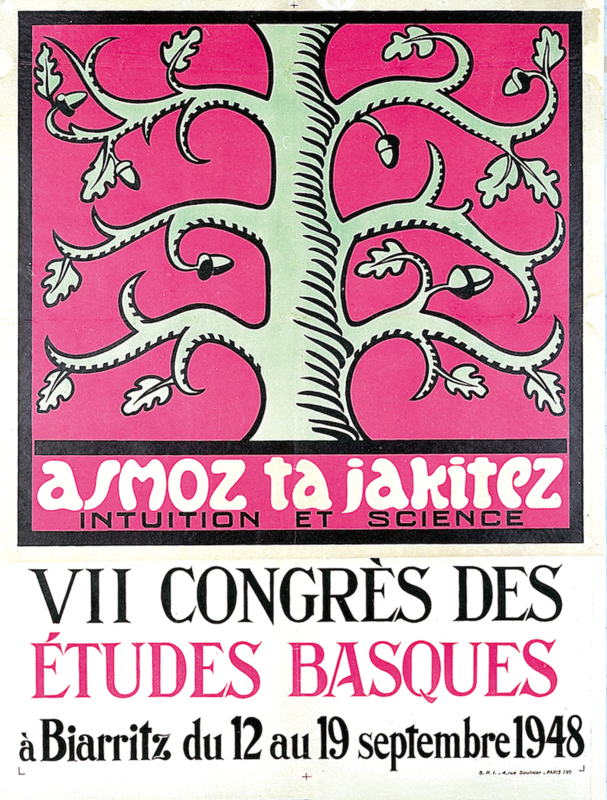 But the Society of Basque Studies also commissioned the first school texts in Basque and laid the foundations of the bases of the future ikastolas (Basque schools), among many other milestones. 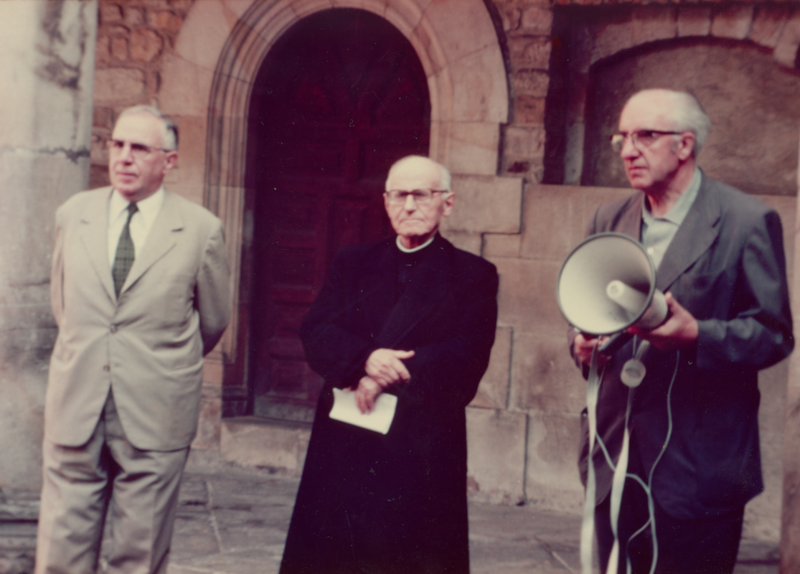 The light at the end of the tunnel began to appear after Franco’s dictatorship during the Spanish transition, when the general members’ assembly, a meeting in Oñati, approved the relaunching of Eusko Ikaskuntza’s activities in September of 1978. José Miguel de Barandiaran was appointed President, who set out with the objective that Eusko Ikaskuntza was the “center of union or convergence of all the experts in Basque Studies from the homeland and around the world.” It has been 40 years since then and Eusko Ikaskuntza has continued to renew and adapt to new realities, faithful to its spirit of sociocultural leadership. It has not always been this way, Dorronsoro recalls, since “The Foral Government of Bizkaia even managed to break away from Eusko Ikaskuntza, when the traditionalists came into power. And just four or five years ago the government of Navarre was not very interested in us,” he recalls. The four founding governmental bodies, however, currently maintain their representation in Eusko Ikaskuntza’s governing council, “and this year for the first time, the Commonwealth of Iparralde (the Northern Basque Country) also has its seat,” explains Dorronsoro. “Currently, therefore, there are governmental representatives of all the territories at Eusko Ikaskuntza’s governing council, and that is a fundamental protection. The Basque Government has no seat, but its assistance is very important,” the President of the Basque Studies Society points out. In his role as a driver of Basque culture, Dorronsoro regrets that “Unfortunately, some ideologies have automatically marked the institution with the label of Abertzale or they see it as “suspicious and unnecessary.” These accusations are “quite dangerous” for an entity, says the president of the Society of Basque Studies, which is “absolutely upright, leaving no room for speculation” about it. “In 2013, we did some internal reflection and decided to relocate Eusko Ikaskuntza and define its mission. It is an extensive and diverse association with open doors for all, ideologically. Its objective is to make reflections on current and future challenges; and also, to do research and studies from all over the Basque Country, understood as a global community,” he remarks. 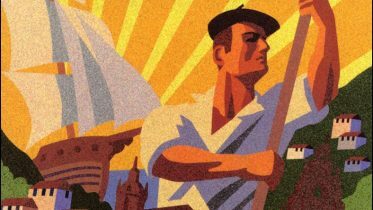 The Society of Basque Studies is a private entity that, “from a leadership standpoint, proposes and raises topics being focused on by scholars, intellectuals, professionals, experts and citizens. We are not a university group, but rather an association supported by society, so we’re more diverse. That, for us, is very important,” Dorronsoro emphasizes. “We used to look toward the past a lot in our history and we have done a great job, but now we’ve changed the focus and we’re looking ahead at the future, seeing what topics we have to work on in the Basque Country,” Iñaki Dorronsoro explains to Basque Tribune. During the years of reflection at the beginning of this decade, the President recognizes that many authoritative voices lacked a “space for reflection for the Basque Country, seen from a global point of view, in which we consider what possibilities we have in the face of the future. The objective is to provide answers with the highest degree of participation possible. And we think that we have to fill this gap ourselves,” says the president of Eusko Ikaskuntza. This anniversary will also serve Eusko Ikaskuntza to refuel on his journey toward its second centenary. “Our driving force, more than money, is commitment. In these last three years we have been moving along productively, with great aspiration. We have eleven people on-board professionally, and right now, in the areas of conferences, presentations and studies, drawing conclusions and forming scientific commissions, we have some 1,300 people involved. And all this with a voluntary approach. That indicates that there is spirit and desire, and that is our strength, our fuel which we are so pleased about,” Doronsorro stresses. We’re also happy, he notes, “because we’re seeing that there are young people coming to our meetings and that our members are renewing and becoming younger. There are about 2,300 members right now and in the last year we’ve seen a new air. In July, for example, a dozen young members joined, and six or seven of them were very young: in their thirties. That means that Eusko Ikaskuntza is reviving and we want to use this anniversary to visualize our work and therefore the main tool is the XVIII Congress,” he insists. Be the first to comment on "100 Years of Commitment to Basque Culture"